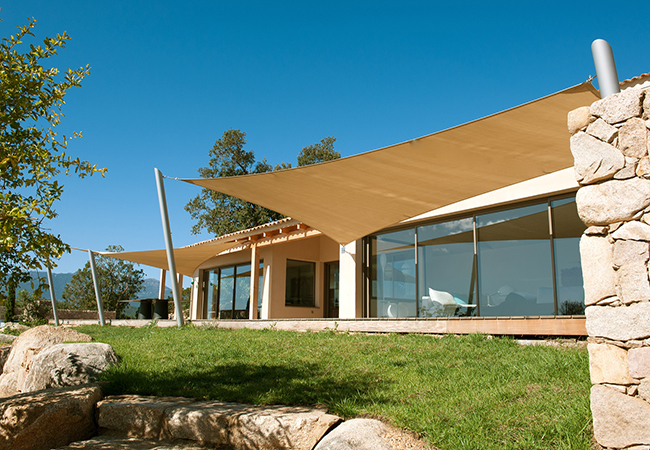 Great quality shade sails products, triangular, square, pentagonal shapes, pick the perfect shade sail you always wanted in your home, or restaurant or hotel. 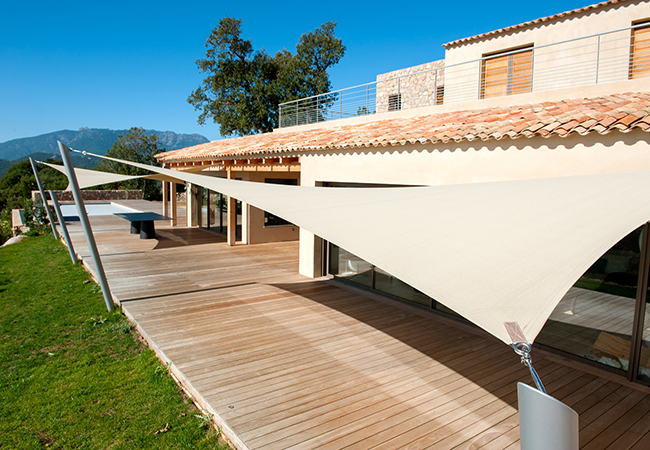 Voile du Sud works exclusively with Voile du Sud Engineering, an Australian shade sails manufacturer installed in Tunisia since December 2010. 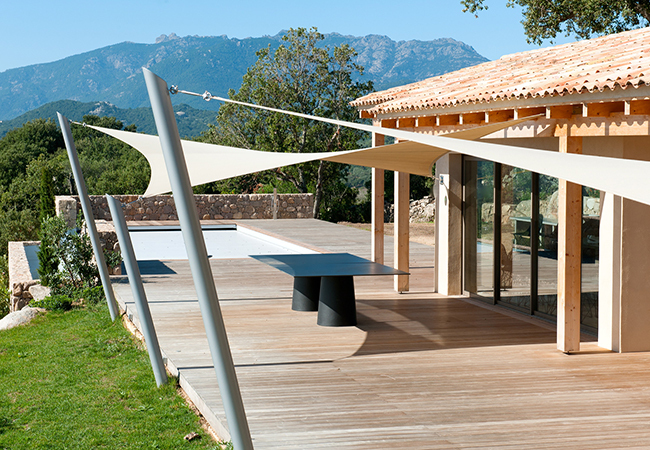 Voile du Sud Engineering has a production workshop of 1800 m2, and it brings us its unrivaled knowledge in the areas of design and manufacturing of shade sails. 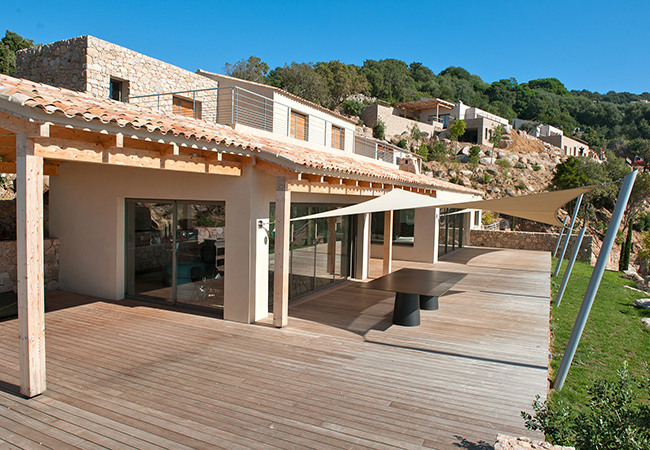 Thus, Voiledusud has an unbeatable high end product. 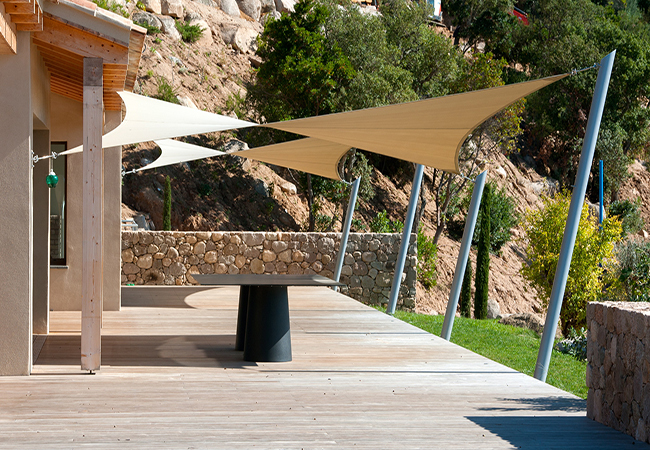 Our trained and experienced staff guarantees the production of sails with the highest quality. 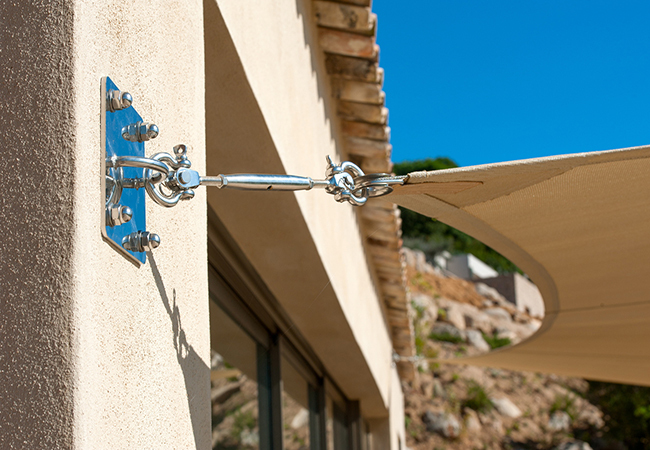 Voiledusud also provides a full range of premium stainless steel accessories which meet the standards of the most demanding installations. 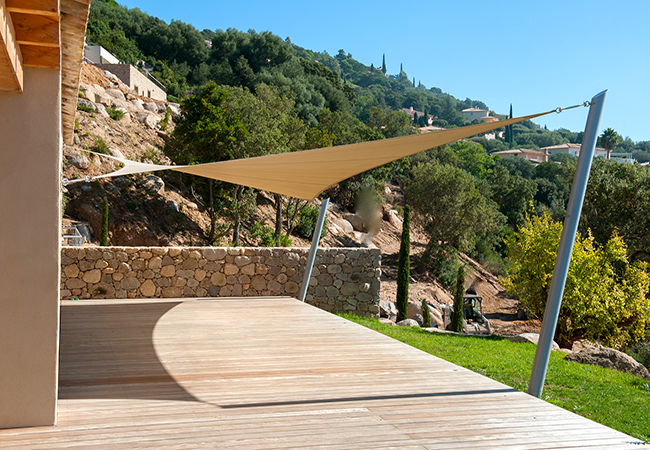 Modern shade sails are made of UV inhibitors and are guaranteed from five to fifteen years against deterioration caused by UV. 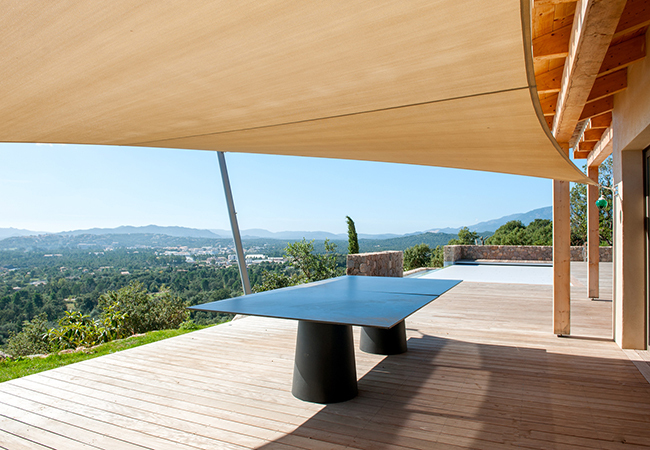 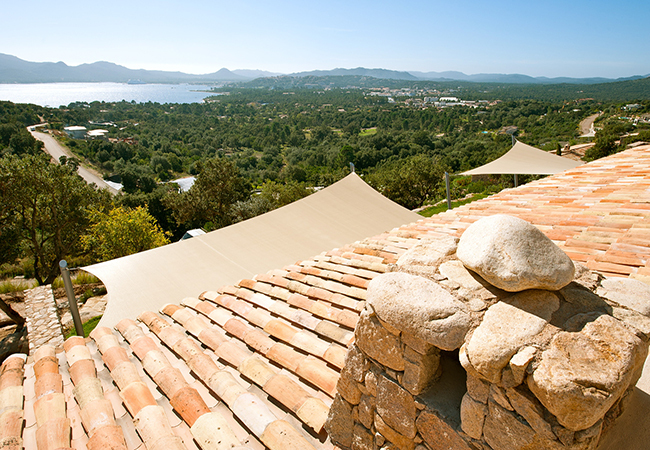 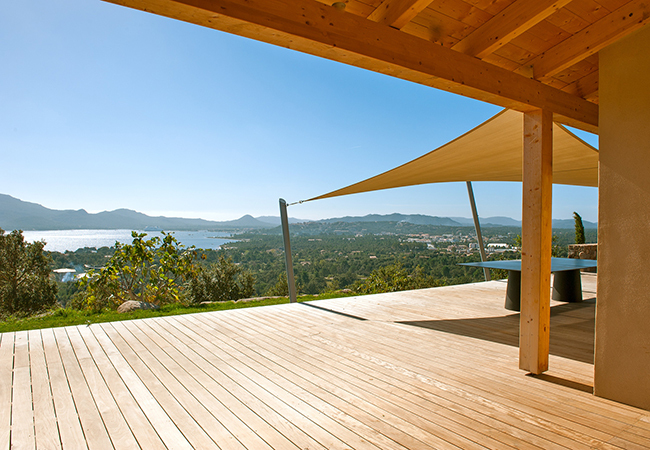 Shade sails are also frequently made from other materials such as some types of PVC or canvas.